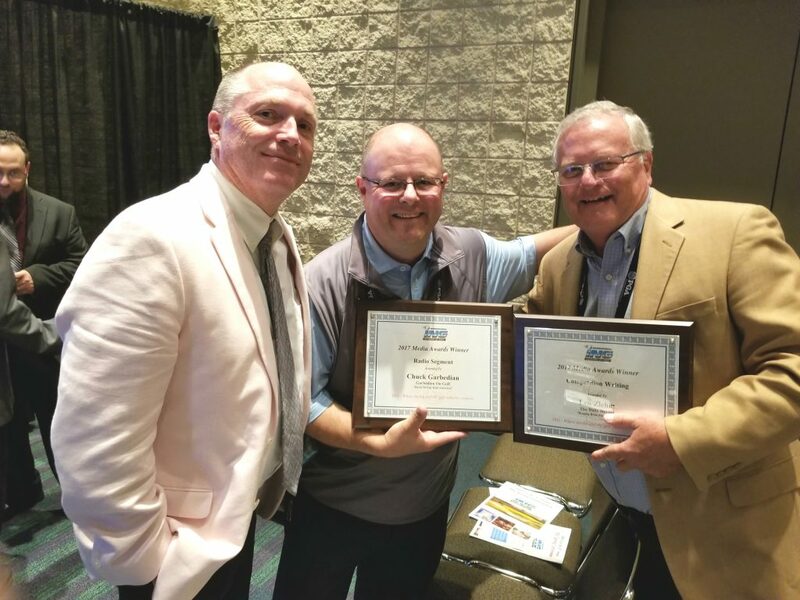 Wisconsin buddies Gary Van Sickle and Chuck Garbedian joined me as winners of ING Media Awards. I’m excited, and most appreciative. 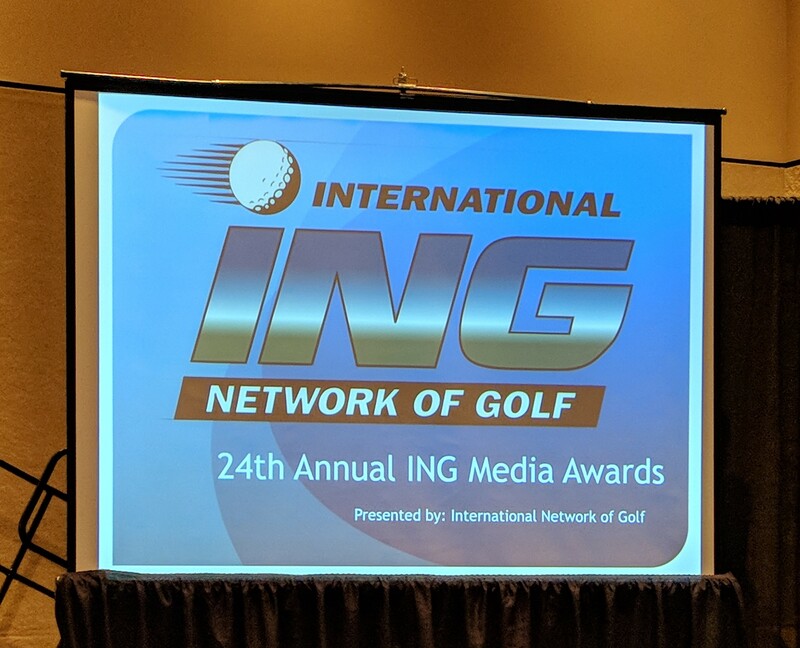 Last night three of my pieces from 2017 were cited in the 24th annual International Network of Golf Media Awards presentation, which climaxed the first day of the 65th PGA Merchandise Show at the Orange County Convention Center. 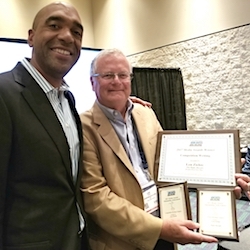 My Daily Herald piece, “Koepka wins first major,’’ was the winner in the Competition Writing category. It told the story of Brooks Koepka’s victory in the U.S. Open at Erin Hills last June. I also received Outstanding Achiever mentions for two pieces, one for Travel Writing and the other in the Competition Writing category. 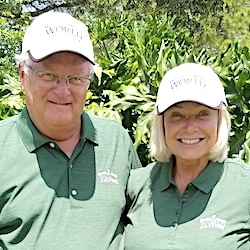 The Travel piece, “Simply Grand,’’ appeared in the Daily Herald and spotlighted Wisconsin’s Grand Geneva Resort. (This piece also was published in Chicagoland Golf). It was the second year in which I’ve been cited in the Travel Writing category. 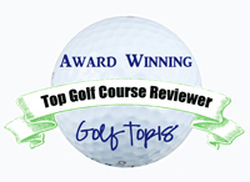 The other mention was for “Make It a Double,’’ which ran in the Chicago District Golfer. It was a report on Patrick Flavin’s victories in the Illinois State Amateur and Illinois Open. Damon Hack, of The Golf Channel, was emcee for the event and a couple of my Wisconsin buddies – Chuck Garbedian (Radio Show) and Gary Van Sickle (Profile Writing) – were winners in other categories. Tony Leodora won for the third straight year in the TV Show division.